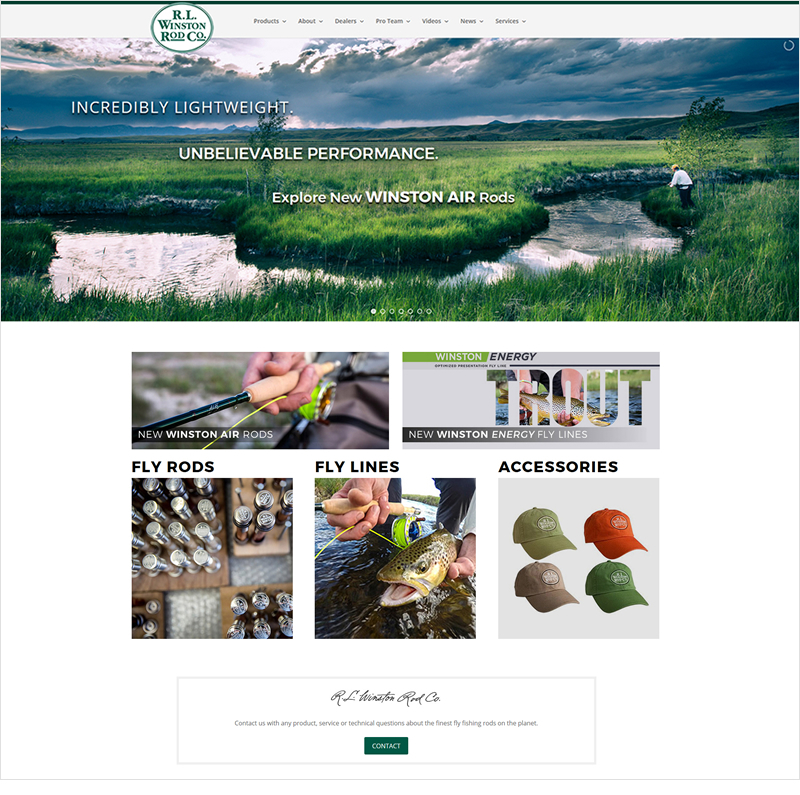 ruby slipper’s long time partner Happy Dog Design launched Winston’s beautiful new website in the spring of 2017. ruby slipper crafted the design and helped build pages for this innovator in the world of fly fishing. For over 85 years now, Winston has been responsible for some of the most groundbreaking advances in fly fishing. Visit their site and marvel in their gorgeous photography, their finely crafted rods, and the history that comes with a long standing pillar in this industry.